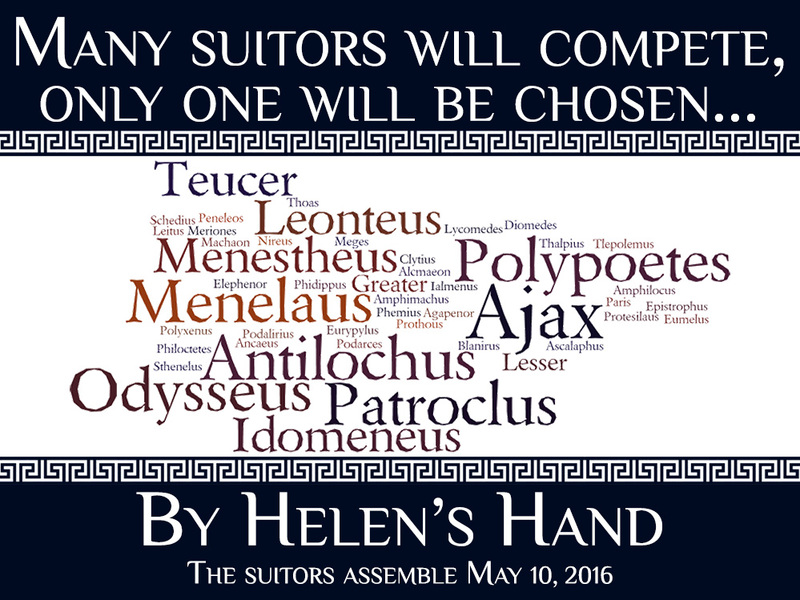 Helen loves Theseus: Audiobook Giveaway for By Helen's Hand! 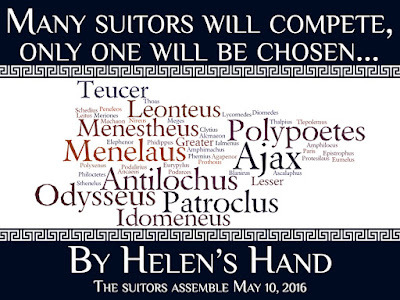 We're EXACTLY ONE WEEK away from release day for By Helen's Hand (May 10!) and what better way to celebrate than with a giveaway! We're already in the final week countdown for the Goodreads Giveaway hosted by Lake Union/Amazon Publishing -- so definitely make sure you've entered to win one of those 20 paperback copies of BHH. But NATURALLY I've got something special for you guys on the blog. Are you ready? #NamethatSuitor for a chance to win one beautiful audiobook edition (your choice of MP3 or Audio CD!) AND an owl pendant to match Helen's armband/bracelet on the cover art! You have until Sunday, May 8th at 11:59pm, Eastern. (US only, sorry!) More details and extra entry opportunities in the rafflecopter widget below! You've seen this quote before, but can you #NameThatSuitor?! Perseus has always been a favorite, tho I have on occasion rooted for Medusa. Ahhh Perseus! And Medusa! Good choices!! I'd love to see a really good Medusa retelling. I hope you'll like him in BHH! !